An IoT Platform with real AI reasoning. A core cloud-enabled software platform offering IoT integration (sensors, actuators, other processing functions) and facilitating the real-time monitoring and control of large-scale systems. The platform supports semantic reasoning using declarative knowledge models and deductive reasoning techniques from the artificial intelligence (AI) area. 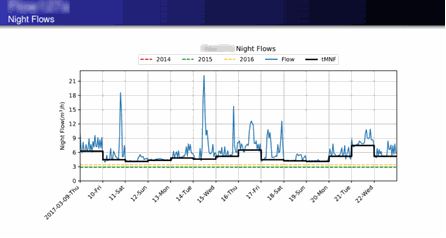 A smart reporting engine for water distribution network operators, based on real-time system monitoring using low-cost water-flow sensors. It analyses heterogeneous system data and produces reports indicating the risk of a leakage present in the system. The current product version is ready for contract signature and subsequent deployment to customers. A cyber-physical system for the monitoring of building environment (e.g., heating, ventilation and air-conditioning/air-quality) and detection of anomalies, using machine learning and artificial intelligence techniques (currently at TRL 6-7). The current product version is ready for pilots with building operators/owners and/or building automation solutions' integrators using commercial sensors or BMS data.